Here is a sequence of photos of a pair of White-breasted Nuthatches that nested this summer in our backyard bluebird box (two compartments). 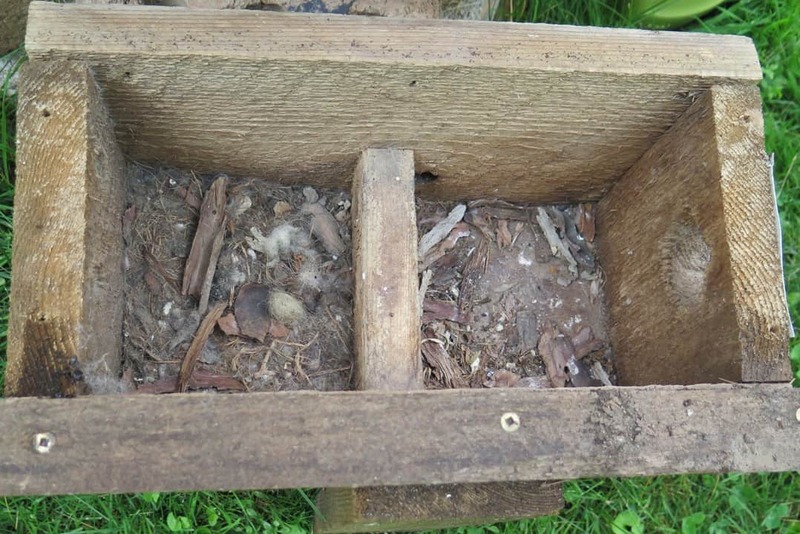 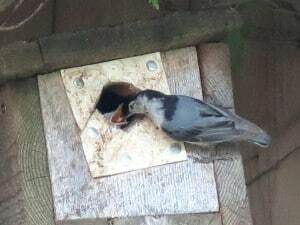 The pictures include feeding the chicks and the nest box after the chicks fledged on July 20, 2015. A beautiful experience. 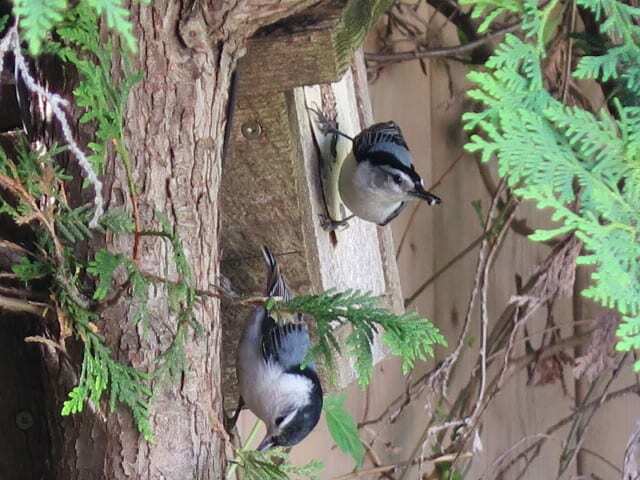 Unfortunately they fledged when we were away, so I didn’t get to see them. I figured there were at least 3-4 chicks from sounds in the box. 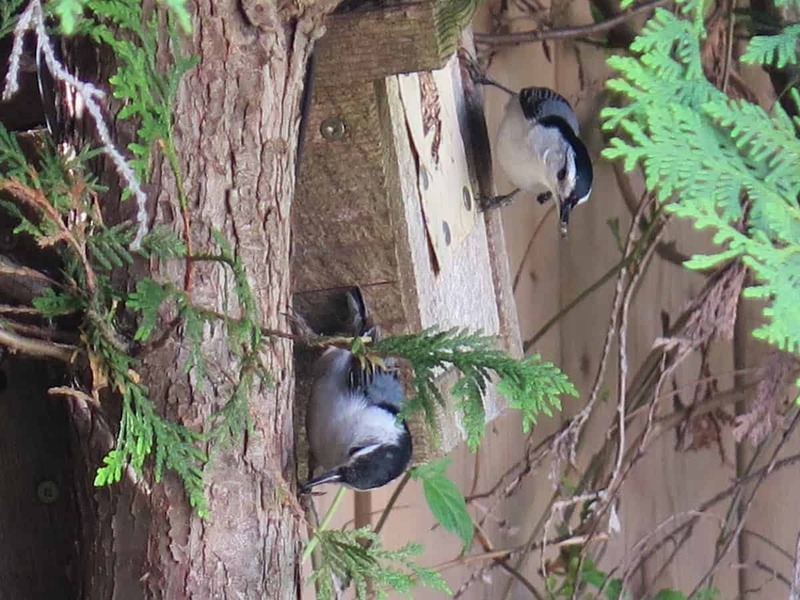 Here’s some action in our backyard. 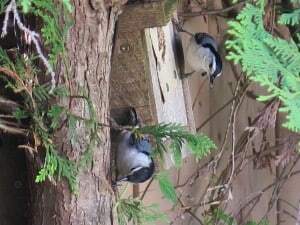 We have a pair of White-breasted Nuthatches nesting in the bluebird box…very interesting to watch the courtship displays and how they react to other animals. 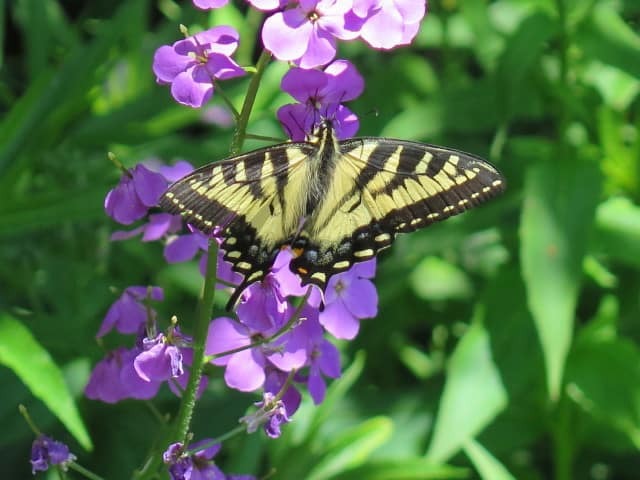 Beautiful Canadian Tiger Swallowtails, too.